Mitraa means ‘friend’. Our services are aimed to give you the comfort of a friend. 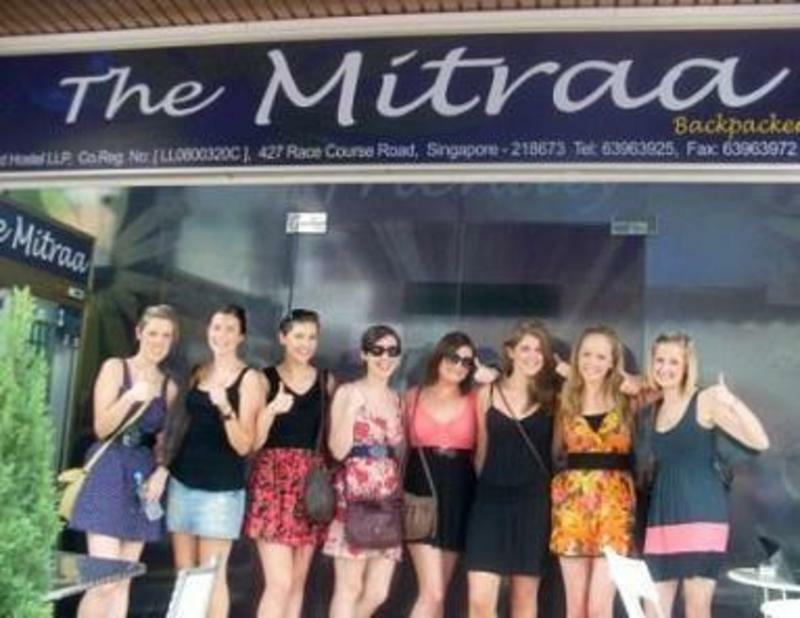 We are ideally located in the popular tourist district of Little India, well connected to all parts of the Country. Mitraa is with in 5 min walkable distance from both Farrer Park MRT and Boon Keng MRT stations. Closer to Mitraa are some of the Singapore’s most popular 24 hrs food court, 24 hours shopping malls, Historical Chinese & Indian Temples, Mosques and recreational clubs. The hostel is adjacent to several sports clubs, where you can go in for a swim, bowling, tennis, soccer, cricket etc. 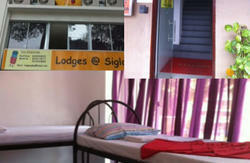 We have double bedded rooms and 2 / 4 / 6 bunker bed rooms. All are individually controlled air-conditioned spacious rooms. Each of the Mixed and Female only dorms comes with 8” thick Super single mattresses with individual lockers and keys. Entire building is covered by CCTV Camera surveillance, so do not worry about safety & security. The affordable price of the beds includes a comfortable bed and bed linen, breakfast, high speed internet access, safety locker, clean toilet and shower rooms. We are family friendly and not a Party hostel but we offer a friendly & relaxed accommodation. 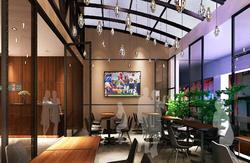 A spacious courtyard & a comfortable lounge helps to relax and mingle with fellow travelers. A plasma TV, DVD, board games & mini library is available for you to relax. FREE high speed Wi-Fi available throughout the building. The MRT station is located in Terminal 2 of the Changi airport. If you arrive at Terminal 1, take the Skytrain to Terminal 1. Or, if you arrive in Budget terminal, take the BT shuttle bus to Terminal 2. Alight at Tanah Mehrah station (Station EW4, 2nd station from airport) to transfer to the city bound train (Joo Koon). Alight at Outram Park station (EW16) and switch to North East line train for the MRT to Farrer Park(NE8) or Boon Keng(NE9)stations The Mitraa is a short walk from either of these 2 stations. From Farrer Park MRT : Take Exit B and walk straight along Race Course Road for 5 minutes towards Balestier road and you will see The Mitraa on the left side of the road. From Boon Keng MRT : Take Exit A to Towner Road. Take a short walk of 5 minutes along the Serangoon Road & turn right towards Balestier road. Take the first left which is Race Course road and you will see the mitraa towards the right side of the road. Taxi fares to the hostel will cost around S$20. It is about 20 minutes drive from the airport. You may avoid limousines, vans or London black cabs since they are expensive. Singapore Taxis have fare meters. Besides, there are certain surcharges for taxis like S$ 3.00 airport surcharge, Midnight surcharge of 50% meter fare from midnight until 5.59 AM, Peak hour surcharge of 35% meter fare from 07.30 to 09.30 hrs and 17.00 to 20.00 hrs. III. Airport Shuttle Bus service For the 'Airport shuttle bus', please approach the 'Airport shuttle service' counter in the Changi Airport terminal. 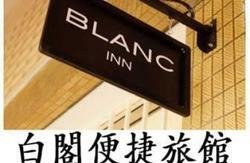 They only charge SGD 9.00 per person for the service and will drop you right in our door step. PLEASE NOTE RACE COURSE ROAD SPLITS INTO 2 PORTIONS ACROSS RANGOON ROAD, ONE LEADING TOWARDS BALESTIER ROAD AND ANOTHER TOWARDS BHUKIT TIMAH ROAD. THE MITRAA IS LOCATED IN THAT PORTION OF RACE COURSE ROAD GOING TOWARDS BALESTIER ROAD, DIAGONALLY OPPOSITE TO THE SAKYA MUNI BUDDHA GAYA TEMPLE (ADJACENT TO CIVIL SERVICES CLUB).